This helpful handout defines some of the key terms around decision-making options for adults who have disabilities. 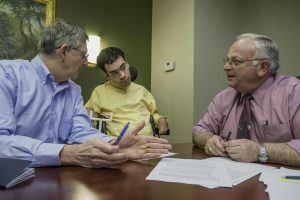 PATF supports people with disabilities being in charge of their own healthcare and financial decisions. However, we think it’s important to understand all the terms that are often used by healthcare professionals, attorneys, and government entities.